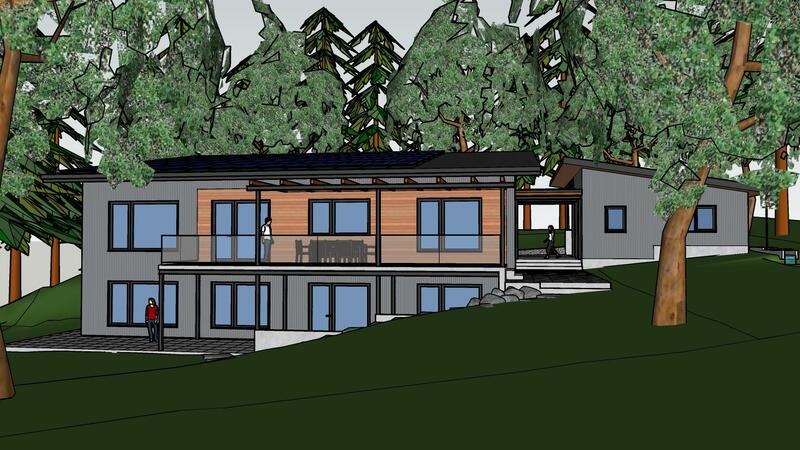 3200 SF Passive House in Maple Bay, BC. 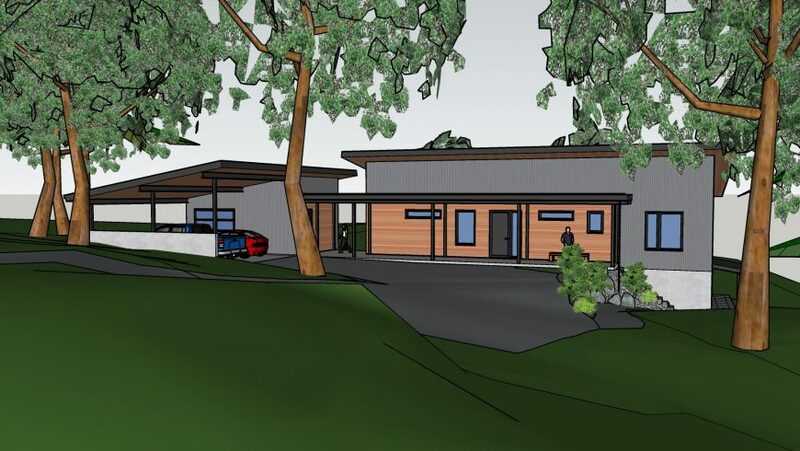 Targeting Passive House Plus certification, this 4 bedroom home with a semi-attached carport and a basement in-law suite is located on a forested property on Maple Mountain. 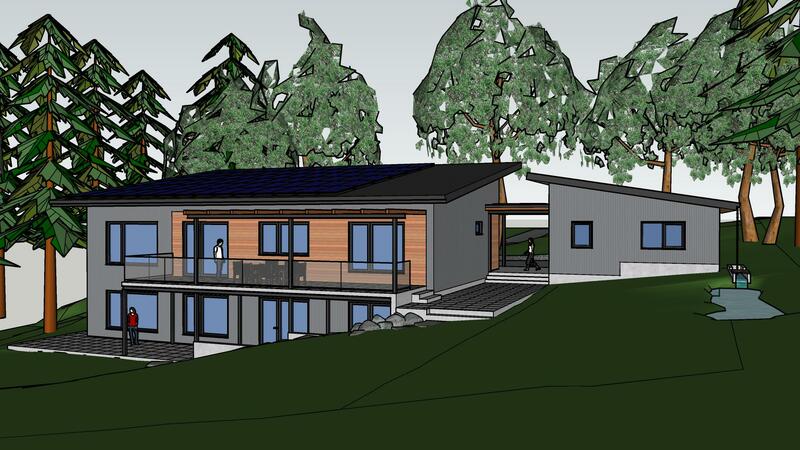 A 12 kW PV array on the main roof provides 50% of the projected energy use of the home.